ห้องพักมีขนาดใหญ่ สะอาด บริการดี อาหารเช้าอร่อย หากเดินทางมาจากสนามบินโดยรถไฟฟ้า จะต้องข้ามสะพานลอย ซึ่งไม่สะดวกนัก เดินทางไปบริเวณโดยรอบ gold souk หรือ the crates สะดวกมาก ถ้าจะไปพักในบริเวณนี้ จะเข้าไปพักอีก!! 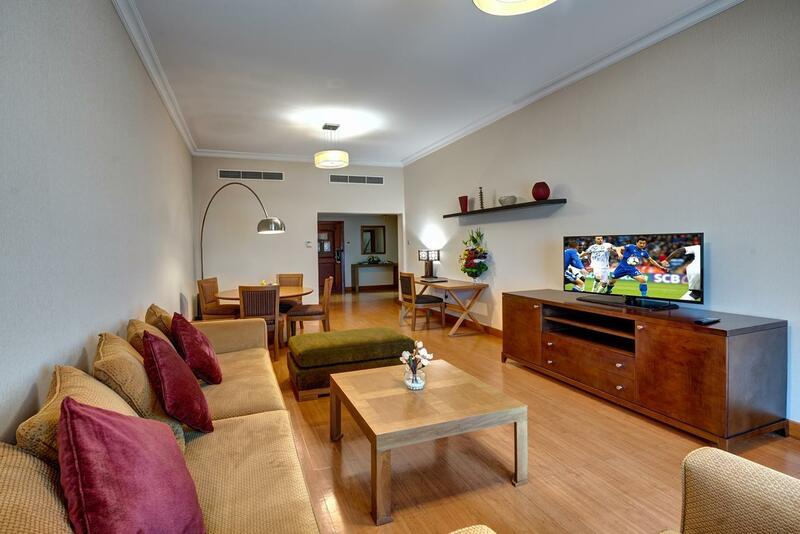 As general it is a good hotel apartment, very convenient to stay specially if staying with family or friends group. I stayed as a 5 friends group. Everything was good and no major complaint. window sides can be little noisy.. but upper side rooms can reduce it. It was nice stay and could return back. Just one little note, The breakfast need more variety plus that when I want down to have my breakfast I saw more than one container were empty and the restaurant employee who assigned to refill on the food counainers need to deal with residents more polite. Food containers need to be refilled before they get fully empty. The doorman was really welcoming and really polite and kind. Beware of taking private cars to substitute taxi because we end up paying triple the fair price, which was suggested from the security guard of the hotel which ensure us that the fair was the same as normal taxi. #moneywasted Hotel is near the metro station and bus available too. Near shopping centre, Al Ghuair, and a very good local restaurants near the Malls, especially Landmark restaurants which serve multi cuisines. Discount store is just beside the hotel, Day to Day. Housekeeping was good but only upon request. 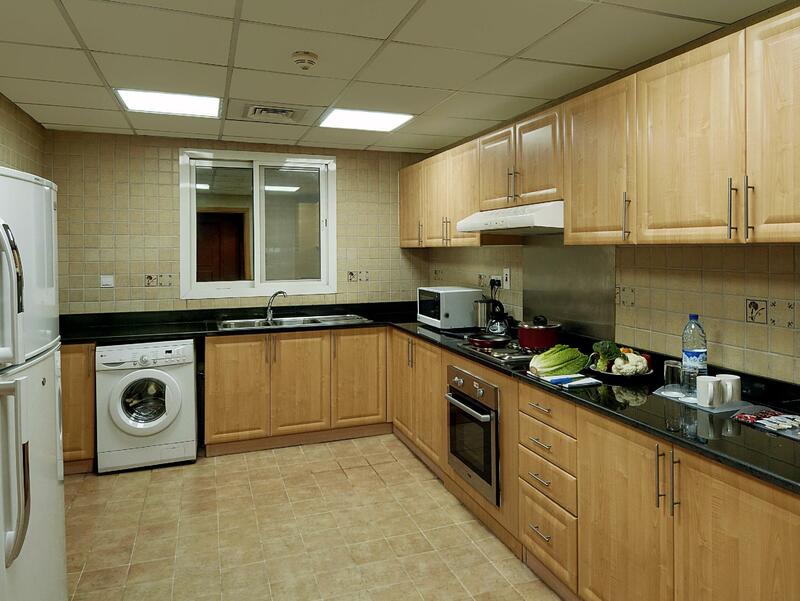 Very good location, you can walk to Baniyas square which also near to old dubai street shops. Rooms is equipped with all the necessities needed. Hotel is very quiet for a comfortable stay. There was just a little problem with regards to the wifi at first, but overall it was a great stay. What's best about the hotel is their TV channels. They have TFC and GMA Pinoy TV, and all channels are in HD. I would suggest to add more staff for reception as well, to accomodate all the clients & to not let the clients keep waiting long time. This hotel really provides value for money, because it provides apartments (bedroom with living room and kitchen) at a low price. It is also located right across Union Station in Deira, which has access to both Red and Green lines. It is near Day To Day, which has cheap souvenirs and other stuff. It even provides free airport transfers, and the driver Erfan is very friendly. My only complaint is the unusual smell in the public areas, but I did not notice it when I got inside the room. This is usually booked by families, but as a solo traveler, it was cheap enough to be an affordable option. Just few stops away from the airport via Metro. Union Metro station just few minutes walk. For someone coming from airport, need not take the taxi. On Fridays (holiday) the area becomes very quiet. Problem finding vegetarian food outlets. if you have problem, contact duty manager malini. She is the most helpful and the most knowledgable. but please be realistic and reasonable. I heard of a complaint myself by some guest to request 10 people to fit in the 2 bedroom apartment and even asked for breakfast vouchers for each of them. Duh! 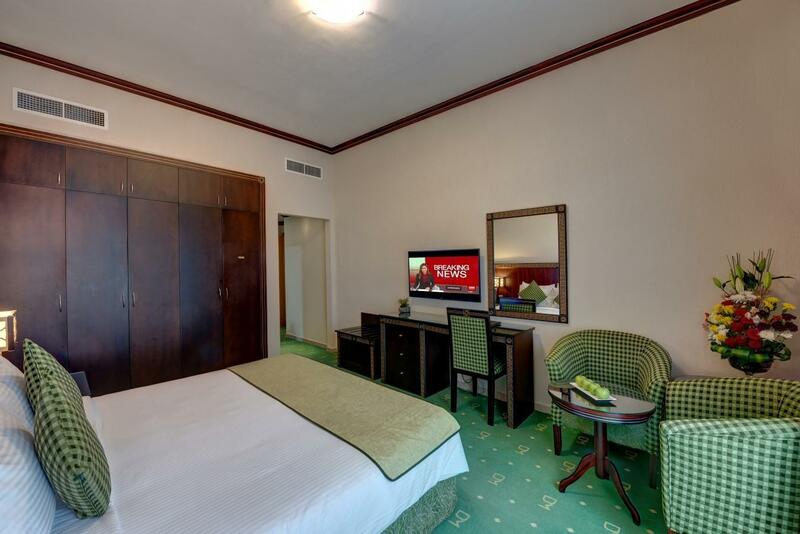 It's a perfect place to relax 'cause it's quiet, clean and big room for a one bedroom hotel apartment. Accessible to restaurants, transport and Malls. Sure to recommend to my other friends to stay. Lotus is located in the heart of the city. We preferred to have our stay booked here since it is near the Airport. Also, for us Filipinos, Jollibe Fast Food is a hit so we always have our breaky there. Just a few steps and the Famous Bee will welcome you. Our unit was very nice. 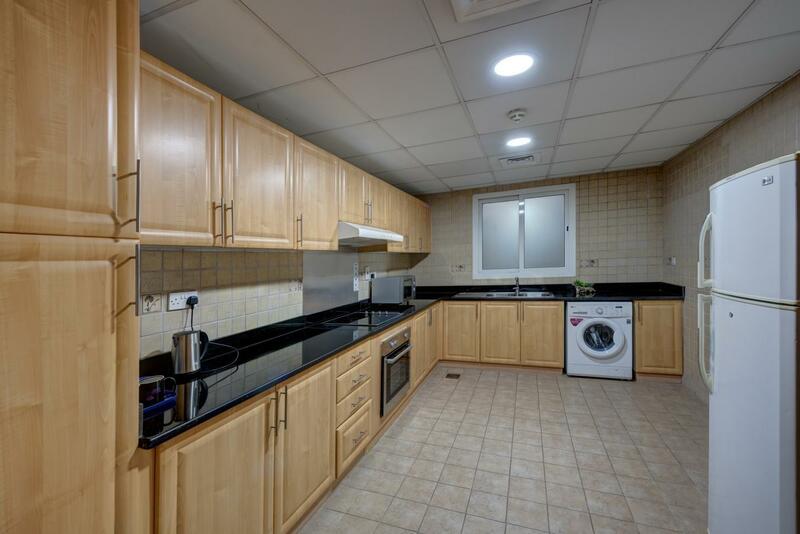 There is even a Balcony and a big kitchen. The only thing that we didnt like are some of the staff. We borrow weighing scale for our luggages for a few consecutive nights. But during our last night, the staff told us “D’you knoe we only have 1 weighing scale?” But its not our problem. We are asking politely but we got that kind of response in return. I think the hotel should buy one or more weighing scale so the staff wont complain if guests borrow it from them. Also, we were informed that water will not be available at 11am during one of the days of our stay. But at 10:30 am, three guys went in to inform us that they will need to turn the faucet on to run their maintenance. Nevertheless, I recommend the hotel! The staff is helpful especially the manager. He help us get what we want and friendly . But the security guard was so rude! We just come back from desert safari tour and vy tired .when we walk to the hotel, the guard with no manners ask us go the counter talk to the reception. When we ask the receptionist,they dont know why we come to them. And suddenly the guard come and say that our room got party.more ppl stay in the room .LOL ,its so damn funny ! We just reply, just 3 of us staying and no party ! Wrong person thou. The guard was just like ok and back to his place without saying sorry, Its so rude ! And no manners ! Large size rooms, kitchen and living room size was generous. Great central location. i had to do a double take when i entered the room. there was a generous size bedroom bigger than most hotel room, plus a living room that was of the same size! 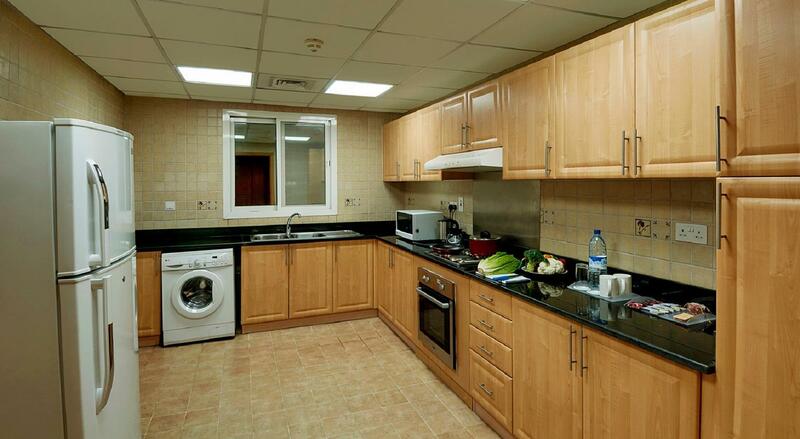 the kitchen was a full size kitchen with coffee maker and a washing machine. there were 2 toilets! this is one of the smallest room they have but i couldn't ask for more! just 5 mins stroll to the subway, 1 min to the local restaurants if and 6 min to the creek! love it! สถานีรถไฟใต้ดิน Union - ระยะ 0.19 กม.